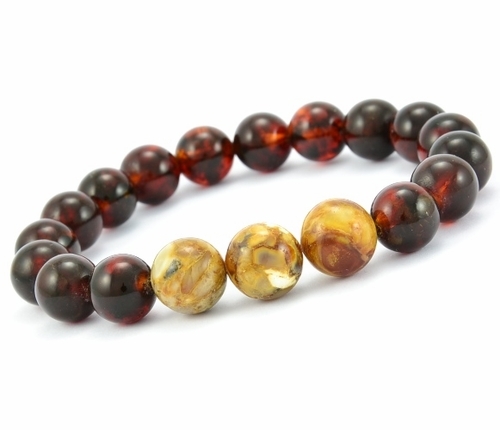 Bead Bracelet for Men handmade of the Best quality Amber. Bead Bracelet for Men handmade of dark cognac and bright mix polished round cut Baltic Amber beads by experienced amber artisans. Simply slide bracelet on and off wrist. For ease of wear, Bead Bracelet for Men is made with durable strong and stretchy cord to enable to wearer to stretch it to size. Simply slide bracelet on and off wrist. Our durable elastic cord is made from strong silicone that will permanently keep its soft elasticity.